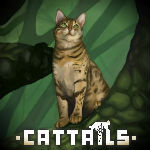 Gift Giving Guide | Cattails: Become a Cat! I am married to Lyrus. Now I know what to give her and my kits.